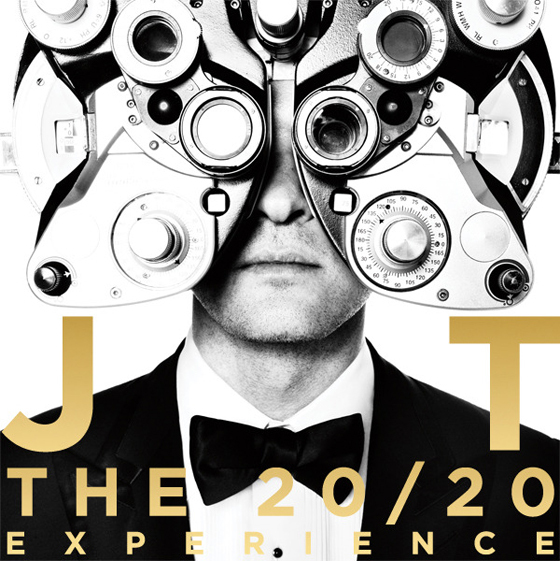 Justin Timberlake's superstar vision is 20/20 these days, and he's putting that to the test on his new album artwork for The 20/20 Experience, due March 19. In the black-and-white, steampunk-esque cover photo, Timberlake is decked out in — what else? — a suit and tie while taking an eye test.